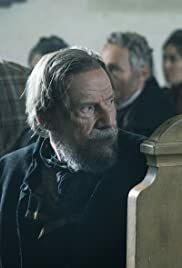 Director Michael Noer’s (the recent PAPILLON remake) fifth feature, tells the heart-wrenching story of a struggling Dane farmer in 19th-century Denmark , Jens (Jesper Christensen) who must go against his morals and make a deal with a wealthy Swede in order to secure his family’s survival over a harsh winter. He would do anything including murder for is children. The deal is to be made with the Swede which includes offering his daughter to him. The daughter detests the fact and hates her father for it. But things change. People change too. This is a meticulously crafted tale, classic Dickens hardship and lessons and a satirical Orwellian twist similar to ANIMAL FARM where the pigs transform int the human beings they overthrow. Here, the protagonist, Jens transforms into the enemy he initially despises. The film also offers an eye-opening look on old farming and living practices in Denmark.